A little accordion can go a long way. The instrument's blowsy, wheezing sound, perfectly fashioned to express sadness and tears, can quickly become a downer, and it takes a player with unusual gifts to transcend all that. It is no accident that two styles intimately associated with the accordion, Argentinian tango and French musette, frequently deal with loss and bad luck. Je ne regrette rien? I don't think so. 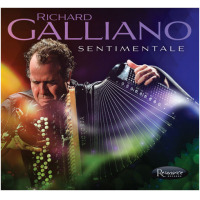 Richard Galliano has recorded several tristesse fests in his time, but at his best he's a creative composer and improviser who has a gift for non-generic orchestration and who is at home with a variety of atmospheres and emotions, including the happy and the optimistic. 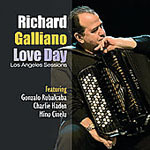 Luz Negra, recorded with his Tangaria Quartet and his first studio album since 2001's Face To Face (Dreyfus Jazz), presents Galliano at his very best, and anyone with an aversion to accordion music would do well to check it out. 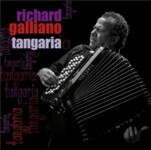 Despite the band's name, tango takes a back seatonly "Des Volliers," "Escualo" and "Tangaria" plough the familiar furrowand it's outnumbered by valse musettes, tunes derived from French, Italian and Brazilian popular song, and globally imagined originals whose cultural provenance is harder to pin down. Some of the tunes are sad, in the traditional accordion fashion, although here the atmosphere is redolent of tender memories rather than painful ones, but just as often they are fierce, gutsy and performed with seat-of-the-pants abandon. The overall effect is upbeat and life-affirming. There are moments of real excitement, lots of them, from all corners of the quartet, which is augmented on four tracks by mandolinist Hamilton De Holanda. Most of the tracks, even the fairy tale-like arrangement of Erik Satie's "Gnossienne No.3," are driven forward by Philippe Aerts' energised bass. He solos rarely but is always at the centre of the action. Violinist Alexis Cardenas is another delight, a visceral, attacking player, whether in bowed or plucked mode, whose improvisations, like Galliano's, strike a fine balance between muscle and melodicism. Percussionists Raphael Meijas and Amoy Ribas, whose propulsive responsibilities are handled in the main by Aerts, are relatively far back in the mix and concerned with colours rather than beats. 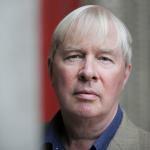 De Holanda's inclusion is inspired. The combination of accordion and mandolin is a perfect marriage of opposites, in which the mandolin's mercurial, non-sustained, percussive sonorities perfectly complement the langorous, drawn-out notes of the accordion. Galliano and De Holanda's counterpoints bring a shimmer to "Tangaria" and the tenderly romantic "Sanfona," and they duel fiercely on the manic head charge "Fou Rire" and swaggering "Sertao." One small gripe. Most of the tracks last less than four minutes, permitting only brief solos. Given the strength of the material and the players, it would be good to hear some longer workouts. Sometimes the tunes sound like postcards, when a letter would be welcome. Track Listing: Tangaria; Luz Negra; Cuarda Che Luna; Chat Pitre; Fou Rire; Gnossienne No.3; Escualo; Indifference; Sanfona; Des Volliers; Barbara; Sertao; Flambee Montalbanaise; Les Forains. 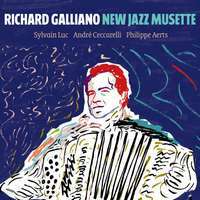 Personnel: Richard Galliano: accordion; Alexis Cardenas: violin (1,3-12); Hamilton De Holanda: mandolin (2,5,9,12); Philippe Aerts: bass (1-13); Raphael Meijas: percussion (1,3,4,6,7,9,12); Amoy Ribas: percussion (2,3,5,8,9,12,13).